First Baptist Church - A Church of Welcome - Alfred Chris Attaway, Jr.
Minister Alfred Chris Attaway Jr. was born on December 26th, 1991, to the proud parents of Alfred and Yvette Attaway. Chris, as he is called, has been utilizing his many gifts and talents as a laborer of the Gospel for over twelve years. At the tender age of, Minister Chris accepted Christ and has been on fire ever since. Under the leadership of Dr. R. A. Vernon, Chris was baptized and accepted into the Second Tabernacle Baptist Church family. 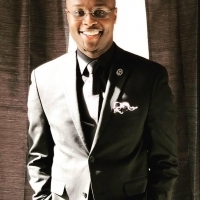 From age 6 to age 17, Minister Attaway played the drums, directed the choir, served as praise team leader, and served as an assistant to the pastor. On August 13th, 2006, at the age of fourteen, Minister Chris acknowledging and accepting his calling into the ministry. He preached his first sermon at the Second Tabernacle Baptist Church on Youth Sunday under the leadership of Pastor Lyneil D. Nash. Minister Attaway was licensed to preach by Pastor R.W. Sales and New Light Baptist Church in 2010 and ordained to preach by Dr. Ivory k. Jones, III and Grace Missionary Baptist Church in 2015. He is a graduate of American Baptist College in Nashville, Tennessee, and he is a member of the Omega Psi Phi Fraternity, Inc.